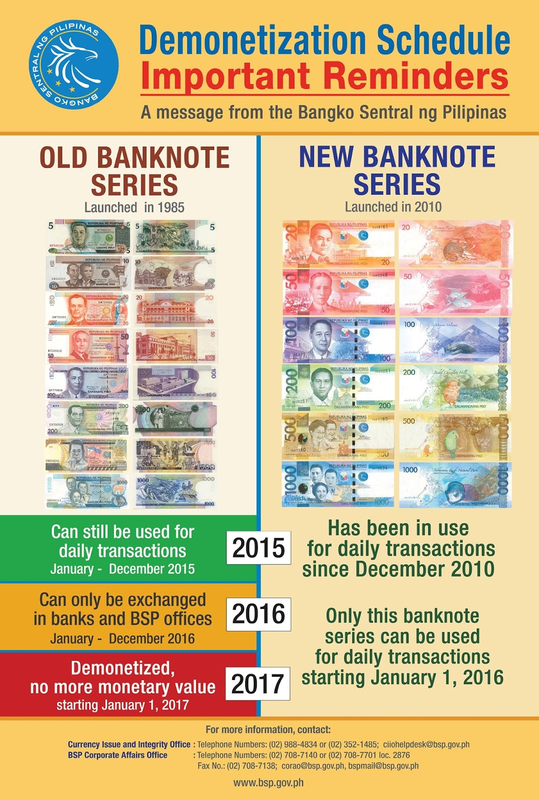 The Bangko Sentral ng Pilipinas Deputy Governor Diwa C. Guinigundo today reminded the public that the old banknote series launched in 1985 can still be used for daily transactions up to December 31, 2015. From January 1, 2016 up to December 31, 2016, the old banknotes can still be exchanged in authorized agent banks and the BSP Cash Department. 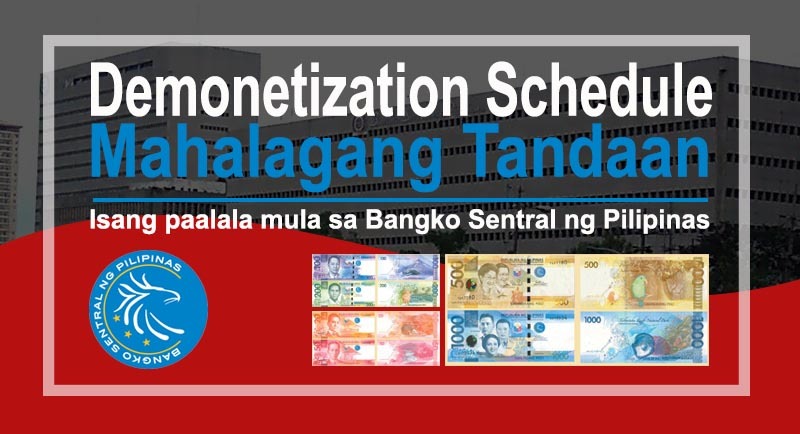 However, starting January 1, 2017, the old banknote series will be fully demonetized or without monetary value. This means that the New Generation Banknotes introduced in December 2010 will result in the circulation of a single currency series in the country. The New Generation Banknotes have more and enhanced security features to protect the safety of the public against counterfeiters. The demonetization process of the old banknotes is in line with the provisions of Section 57 of Republic Act No. 7653, otherwise known as the New Central Bank Act, which authorizes the BSP to replace banknotes that are more than 5 years old. The old banknotes have been in circulation for almost three decades. 2. From 1 January 2015 to 31 December 2016, the public may exchange with authorized financial institutions, namely universal and commercial banks, thrift banks, and rural as well as cooperative banks, their old banknotes with the New Generation Currency (NGC) Series at full face value, without charge.The public may also opt to exchange their old banknotes with the BSP or any of its regional offices/branches around the Philippines. 5. Starting 1 January 2017, NDS banknotes that have not been exchanged shall no longer have any monetary value, and are considered demonetized.